For those interested, here's some photos of the first ever Takara lab diamond rough for our new H&A rounds! These will yield .50ct - .75ct. More details and info over the next two weeks, but this is how the rough looks before we start the cutting process. (These are all HPHT grown btw - high pressure, high temperature, which mimics how they grow under the earth). This is exciting news, Less. have two of those had a window polished/cut so we can see inside them, or are they just that amazingly clear? 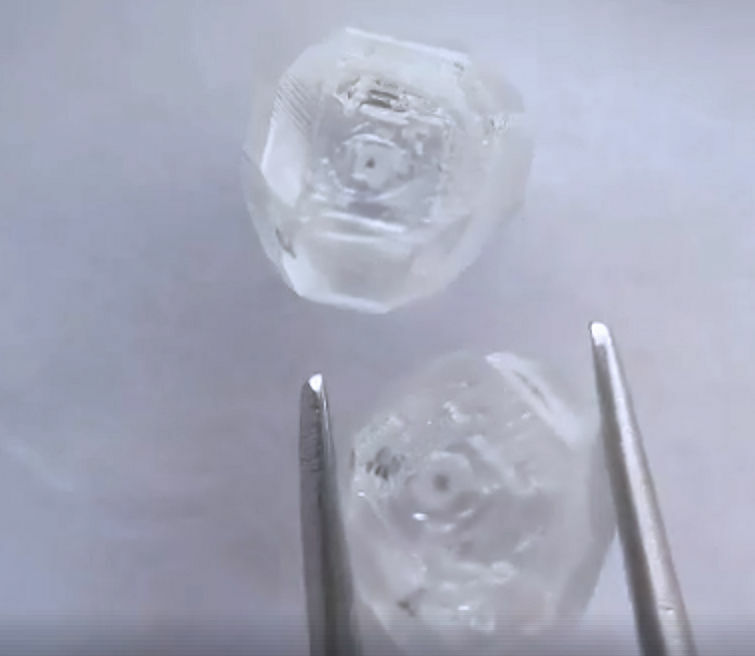 No polish at all on this rough...what you are seeing is the 'natural facets' from the growth process where you have some very flat (and clear) surfaces as part of the diamond's growth habit. 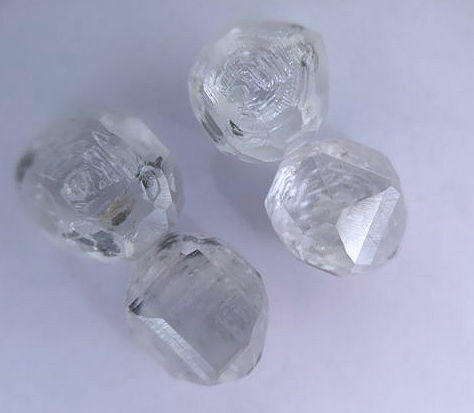 HPHT produces this type of crystal. CVD is much rougher by comparison.